Nadhiya had been the most famous Tamil and Malayalam actress in 1980s and 1990s. Her first film in Tamil, Poove Poochhodava, became successful in which she acted as granddaughter of the senior actress Padmini. Then she began to give many Tamil super hit films and played opposite all the top heroes of that period including Rajini Kanth, Mohan, Suresh and Prabhu. She had been srtictly avoiding glamourous character when she was busy in her career. Even then she attracted mass of the people with her wonderful acting and smart looking. Nadahiya is still looking young though she has crossed 40 years of age. She told that proper diet control helps keeping her youthness. Uyire Unakkaga, Pookalai Parikkaatheergal, Rajathi Raja, Raja Kumaran, Padu Nilave, Nilave Malare are some of her Tamil box office hits. Nookketha Doorathu Kannum Nattu, Koodum Thedi, Kandu Kandarinju, Shyama are some of her super hit Malayalam movies. After more than one decade of her successful film career she got married and settled in US. Recently she gave a pleasant shock to all of her fans by reentering in Tamil movies. She took mother role of Jeyam Ravi in the film M.Kumaran s/o Mahalaxmi. Then she also acted in other Tamil movies including Chandai and Tamirabarani and has made all of her fans happy. Name of the Movie: Pookkalai Parikkatheergal, released in 1986. 'Uyire Unkkaga', released in 1985, is the name of the movie in which above song is present. 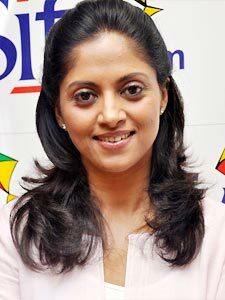 In that movie Nadhiya acted as a girl belonged to the royal family and lead the most luxurious life. But, the heroine Nadhiya hatered such a kind of life and wanted to escape from the situation. One time she decided to leave her home. This song shows exciting feelings of Nadhiya since she enjoys her freedom. The music is by Laxmi Kanth Piyarilal. Even today lacs of Nadhiya's fans would like to watch this wonderful video song. The above beautiful song is from the movie 'Poove Poochoodava' released in the year 1985 and dircted by the famous Tamil and Malayalam film director Fazil. In this song Nadhiya acted with Padmini, the senior Tamil film actress. In that movie Nadhiya took the role of granddaughter of Padmini and she met her grandmother after many years. The song shows mutual affection between the two characters. The great music by Ilayaraja, the amazing voice of Dr.K.J.Yesudas and heart winning lyrics made the song so popular. The song 'Kathal Oorvalam Inge' is present in the movie Pookalai Parikkaatheergal' released in 1986. In this song Nadhiya played opposite actor Suresh. The song became super hit on account of wonderful music and lyrics by T.Rajendar, the famous Tamil film director.